A tropical beach in Woking! Digital print reseller Repropoint, part of the privately owned Graphic Dealers print reseller network and a Preferred HP Partner, has transformed its office in Woking, Surrey, using PersoMural wallpaper inkjet media supplied by Sihl Direct. 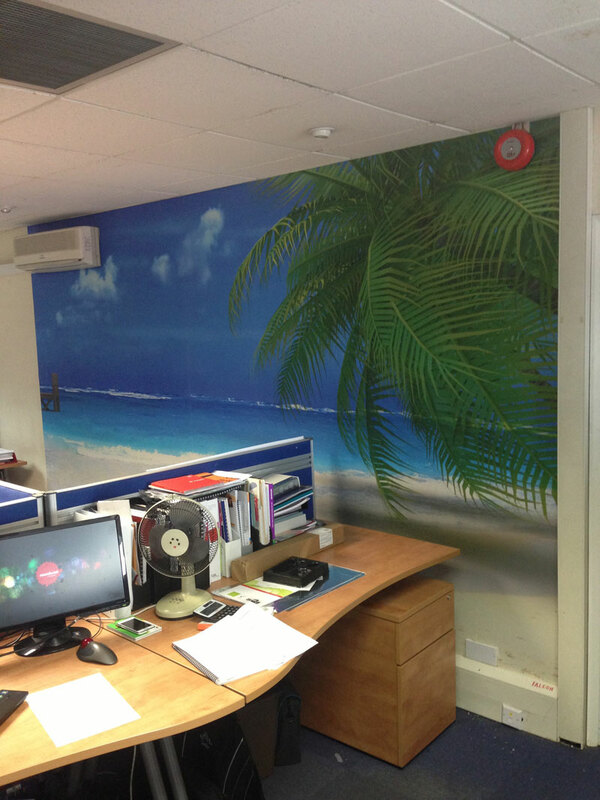 The material was used to create a glorious island scene that brightens the office environment and has a positive effect on staff attitudes. 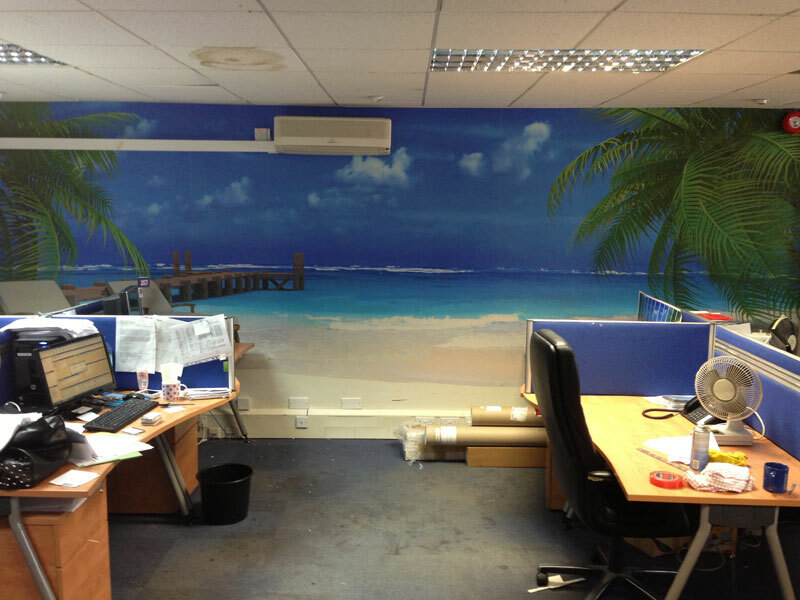 The tropical island scene was printed on Repropoint’s HP Latex 26500 printer and is used as a six by two metre-wide wall covering. General Manager Warwick Seymour explained: “For some time, we had considered decorating the office wall and when we received some samples of the PersoMural media from Sihl Direct we decided to do so using this product. I was genuinely surprised at how easy it was to apply and how well it adhered to the wall surface. The graphic looks fantastic and also serves as an example of how well the HP Latex printer will perform for potential customers visiting our premises”. Sihl Direct offers a broad range of quality sign and graphics and digital printing media via a large stockholding capability and will provide samples and print profiles on all of these, in addition to making up special orders for prompt delivery. PreviousStay calm – wine is here!